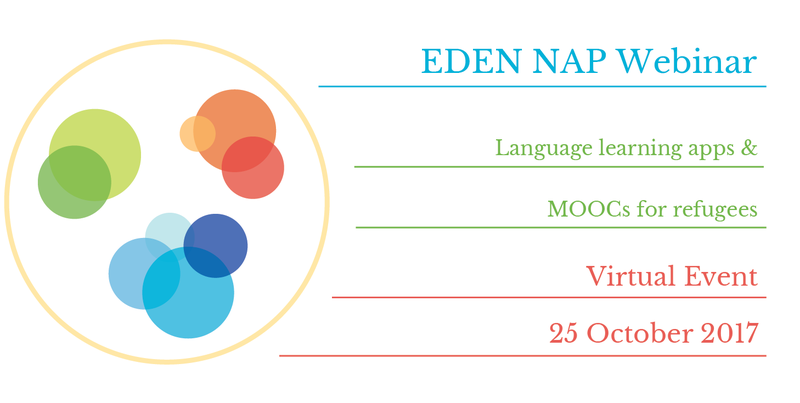 EDEN NAP is happy to offer the “Language learning apps & MOOCs for refugees” webinar, where important issues like inclusion and immigrant integration are developed and valued with the help of to technology support. 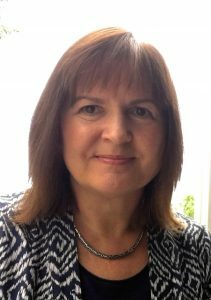 Agnes Kukulska-Hulme is Professor of Learning Technology and Communication at The Open University, UK, where she leads the Learning Futures research programme. Agnes has led numerous projects investigating innovative and emergent practices with learning technologies, in tertiary education and informal learning. She has been part of the European MOTILL project on mobile technologies in lifelong learning, the MASELTOV project on smart and personalized technologies for social inclusion of immigrants and the British Council project on Mobile Pedagogy for English Language Teaching. She has a long standing research interest in language learning supported by mobile technologies. There is an abundance of mobile apps and online resources which can be used on smartphones for informal language learning on a daily basis. Such an approach can satisfy individuals’ personal learning goals and needs. Newly arrived migrants and refugees can take advantage of these learning opportunities but not many are used to being in charge of their own learning. Informal, self-directed learning may complement, or conflict with, formal language classes. How can we support migrants in their transition to a new country and a new way of learning? Timothy Read is a senior lecturer in the Department of Computer Languages and Systems at UNED, Spain. He has held a range of positions in the university government at UNED and is currently Pro-Vice Chancellor of Methodology and Technology. 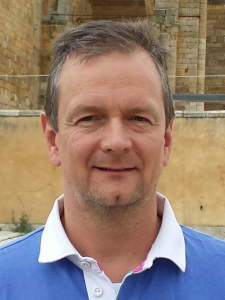 He is an EDEN Fellow and also the cofounder of the ATLAS research group and and is currently working in European and nationally funded projects in the area of mobile assisted language learning (MALL) and massive open online courses for languages (LMOOCs). Since 2012 there have been LMOOCs at UNED which have given us the opportunity to explore how these courses function and what their strengths and weaknesses are. As well as the course content and resources, the social interaction possible can also reinforce learning, since language can be both the object of study and the vehicle used to communicate. However, refugees report that camp life can be chaotic and trying to use online courses is far from perfect. Can these courses help them improve their linguistic competences? This webinar is organised by the Erasmus+ project MOONLITE, NVL Distans (Nordic Network for Adult Education), EDEN (European Distance and E-learning Network) and the Swedish Network for IT in Higher Education (ITHU). The Erasmus+ project MOONLITE (Massive Open Online courses eNhancing LInguistic and Transversal skills for social inclusion and Employability) aims to address the question of how open education, in particular MOOCs, can offer viable solutions for refugees and contribute to better integration and improved employment prospects. You can find out more about our project on our web site: https://moonliteproject.eu. ← #EDENChat: My digital toolkit – what digital tools are most valuable to your teaching and research?